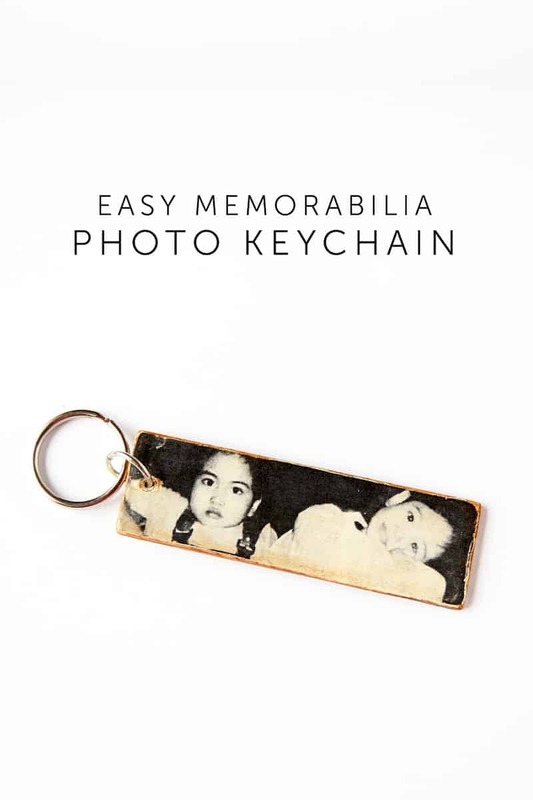 Create a photo keychain that comes together in a matter of minutes (excluding dry time). This is a perfect gift for Mother's Day! I created this one for my mom, with a photo of me and my younger brother when we were kids since we don't live near her anymore. I think it's a good gift to make for someone who has older kids, younger moms or even fur moms. You can create a basic one (like the one I made) or fancy it up with charms and other embellishments. Join me to see how easy this project came together! Step 1. 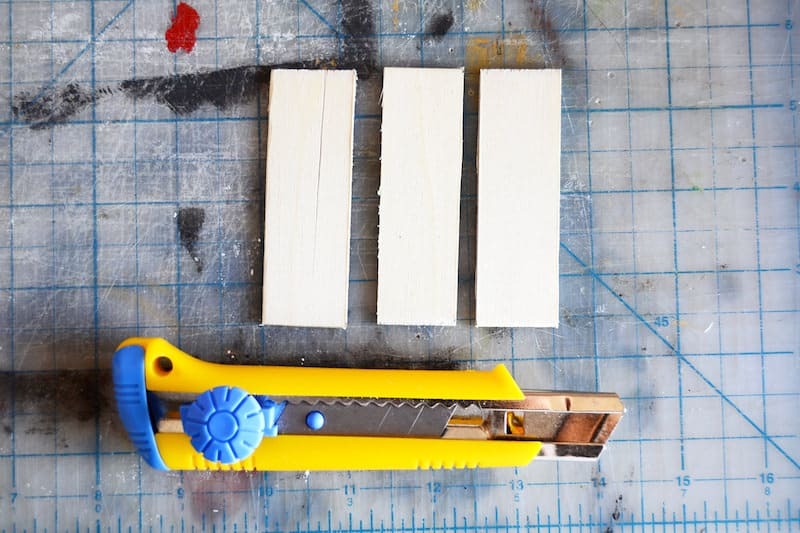 To create a ‘long' piece of wood perfect for your photo keychain, I used a 3″ x 3″ wood square. 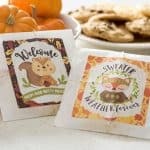 They're soft enough to cut down to size with just a box cutter or X-Acto knife – you just need patience and a steel rule to guide you. Step 2. 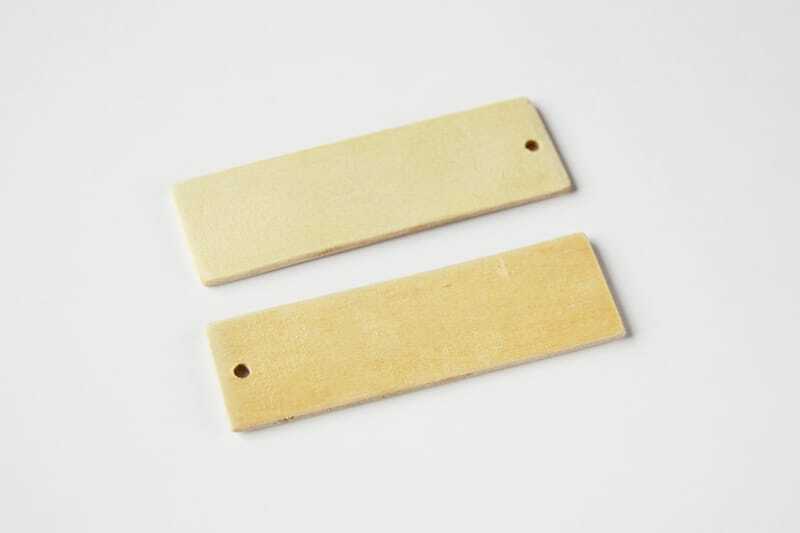 Once you are done creating your wood rectangles, sand the edges as well as the front and back surfaces with fine-grit sandpaper. Step 3. Drill a hole on the top to accommodate your keychain ring later on using a drill with small drill bit – the size would be relative to how big or small your keychain ring would be. Step 4. Now, it's time for the fun part! Print your image – don't forget to flip it before printing. 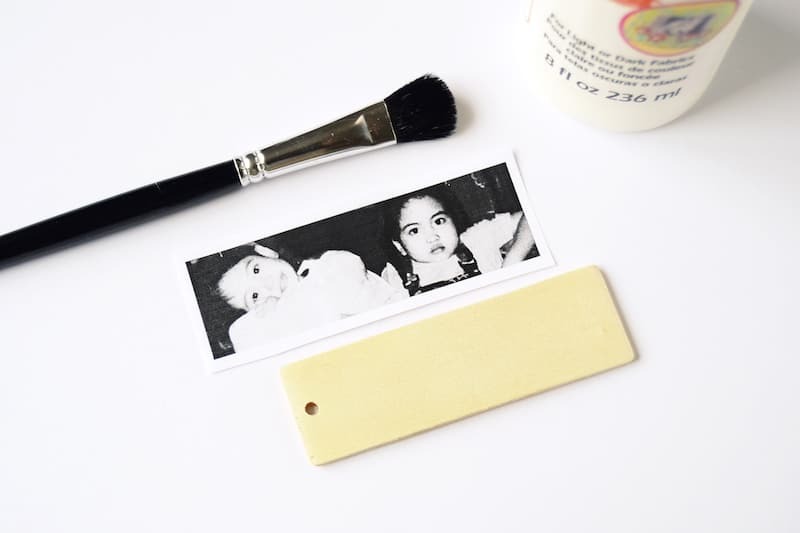 Base the photo size on the size of your wood strip, in my case 1″ x 3″. Step 5. 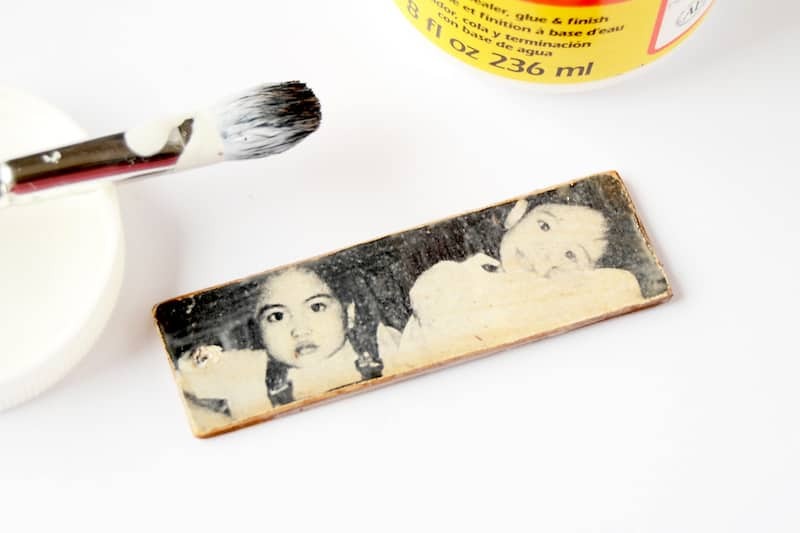 Apply a thick coat of photo transfer medium to your image, and lay it face down on your piece of wood. 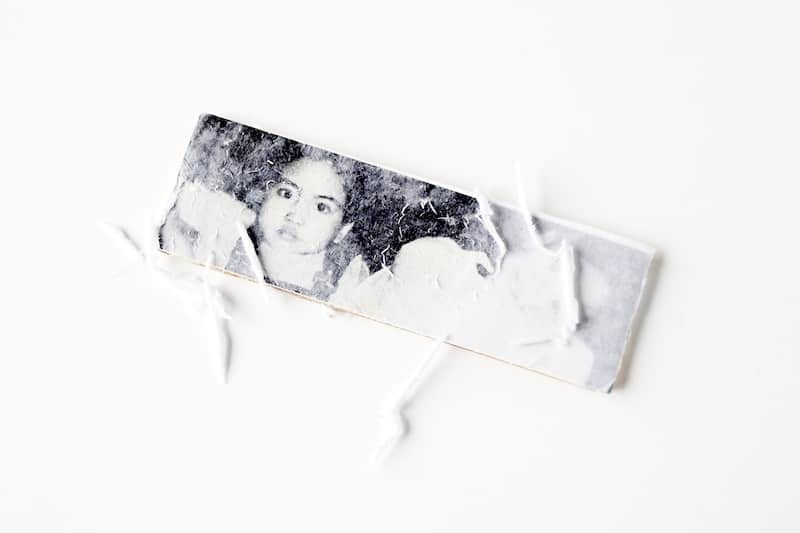 Use a brayer to push out bubbles and flatten the image onto the wood. Step 6. 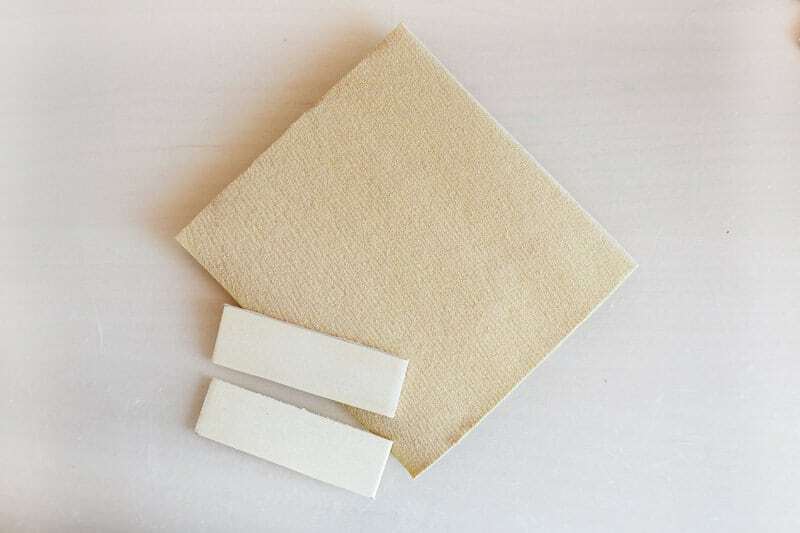 Once dry, wet the paper and carefully rub the paper until your image shows. Be careful with rubbing the paper too much unless you want a really aged look to your keychain. Step 7. Once you are done removing the excess paper, let's ‘antique' it. Use antiquing wax and apply it on the edges of your keychain. Step 8. 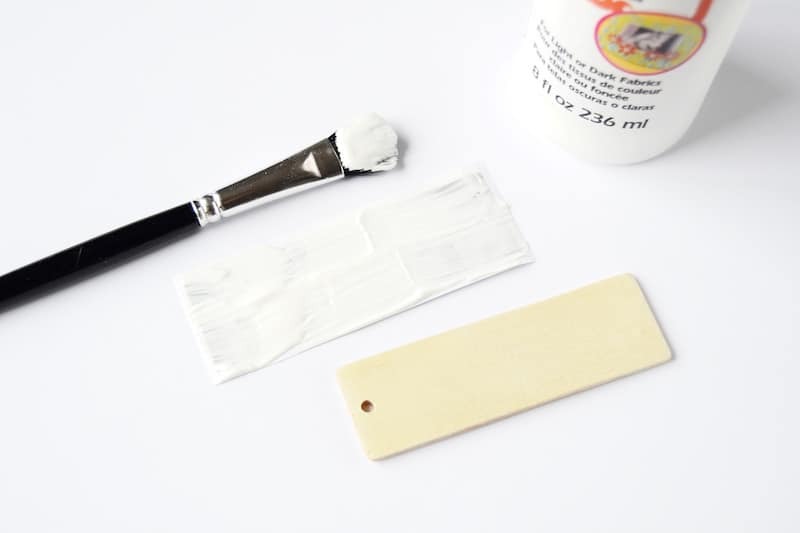 Using the same brush (unwashed), apply a layer of Matte Mod Podge. The remaining residue from the antique wax will mix with the Matte Mod Podge to create a slight sepia sheen. Make sure the faces don't have any stray specks of wax or paper before it dries. Step 9. Attach your keychain ring and you are done! 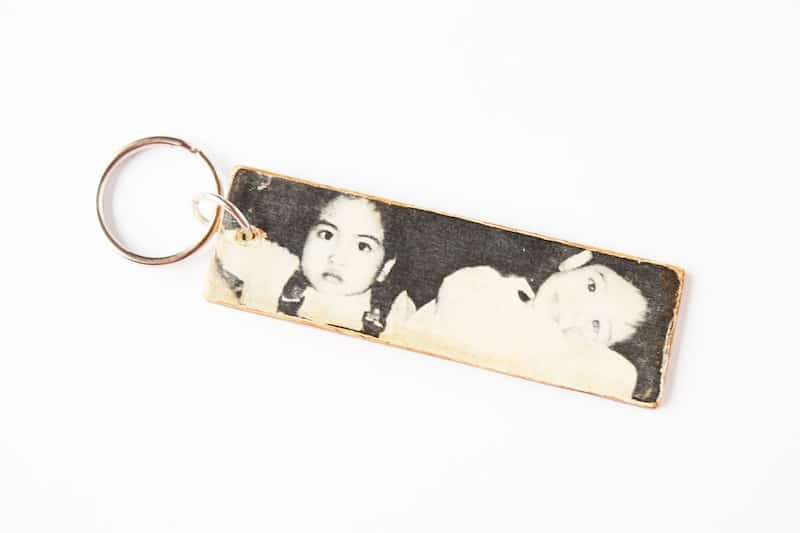 I'm pretty sure my sentimental mom would love this photo keychain, and I hope yours would too! It's something easy, simple and from the heart that you can give to your mom or make for yourself. I'm going to be making one with a photo of my furbabies too! 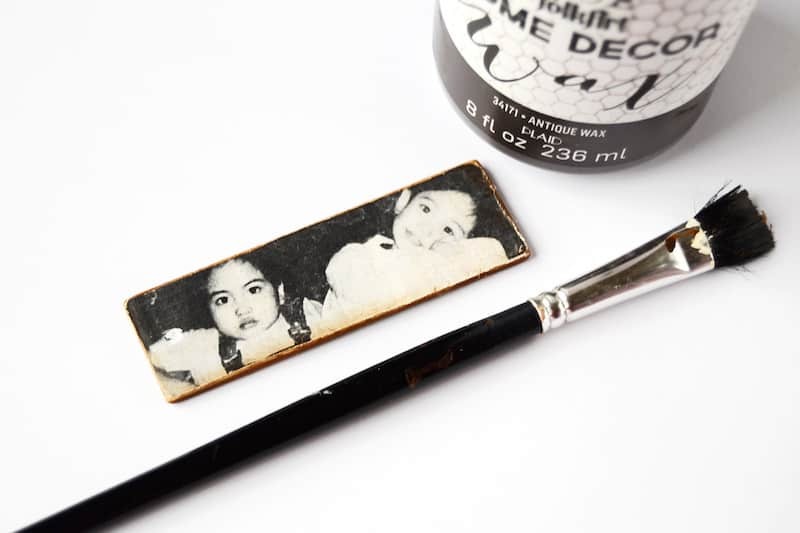 I know my mom likes this plain so I kept mine simple, but you can definitely personalize it even further with different embellishments or charms. What are you planning on making for Mother's Day? Have fun crafting and don't forget to follow me on social media or my blog for more ideas, freebies and tutorials!